WoodBond™ Vinyl wood grain shown in Mahogany. 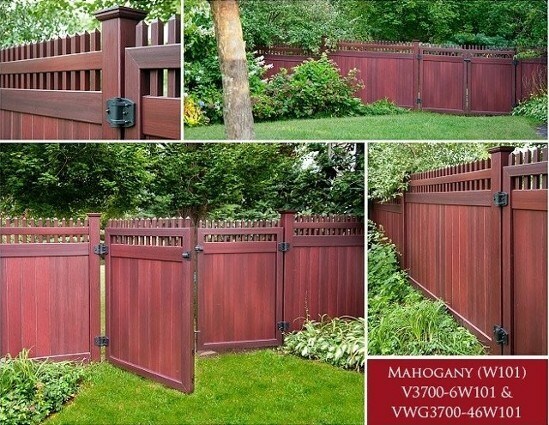 This Illusions™ V3700 fence has a straight Victorian top with a wood grain so realistic you will need to examine it to see it is PVC. 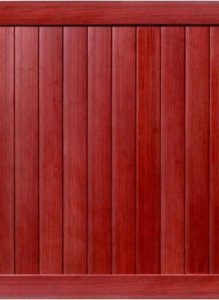 V3700 wood grain vinyl fence is made per order and requires about two weeks or fabrication. 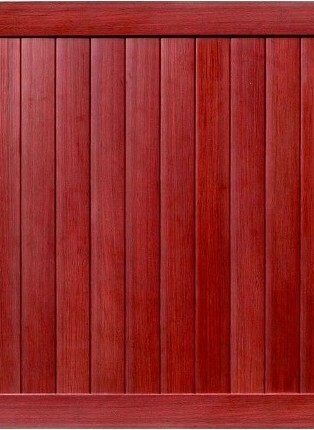 However, Mahogany wood grain vinyl is stock in the six foot V300 style privacy fence panel (see below). Illusions™ WoodBond™ wood grain solid privacy sections are ready to ship immediately as are matching crowned top gates, posts, post caps in your choice of the five vinyl wood grain colors. In stock wood grain, no maintenance vinyl fence sections can be at your home or job site and ready to install in 72 hours or less in the delivery area.